Congrats to the winners! Thank you to all who participated and really got involved in the process. We can’t wait to see what you’ll come up with in the next contest! UPDATE: Deadline EXTENDED to AUGUST 14th, 2017! Winners contacted the 18th. With the arrival of sound on Sketchfab, scenes have suddenly gained a new dimension. It’s a wonderful sensation when a scene that you know well now has this new layer of experience! It’s one we’d like you to enjoy too, so we’re challenging you to take one of your models and add some amazing sounds in a way that encourages exploration of the ‘soundscape’! Think about your scene – does it make the same sound everywhere? Does it sound different up close than far away? What happens if you listen to it from another angle? These are the things we’d love you to explore. Use both environmental ambient (2D) sounds as well as 3D positional sounds in your scene. 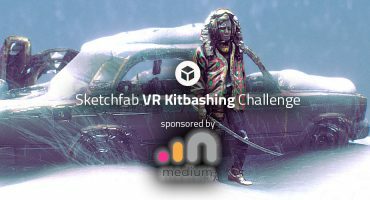 Every participant will receive one month of Sketchfab PRO so you can use up to five sounds. As this contest is about creativity, please generate your own sounds – don’t just grab whole clips from somewhere on the internet. Select one (or several) of your own existing models and design a ‘soundscape’ for it. Make the sounds ‘tell a story’ – make the viewer need to explore the scene to discover them. Go out to record the right sounds for it, or generate them using audio software. Post your idea and your ‘Work in Progress’ in your own topic on the dedicated forum – every participant will receive one month of Sketchfab PRO so you can use up to five sounds in your scene. Use both ambient and positional (3D) sounds in your project. Tag your Work in Progress scenes with #SoundWIP2017, and your final scene with #SoundOfArt2017. 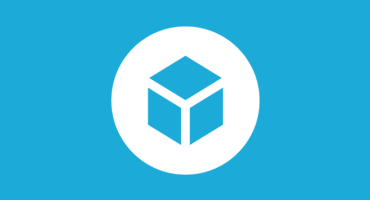 Use a previous immersive Sketchfab scene of yours or a create one and add both 2D and 3D sound to enhance the environment or detailed model, so at least two sounds. We’ll post regular contest updates on the Sound of Art contest forum. Please post in the forum to let us know that you are participating for the one month of Pro. If you don’t receive it after a day, please email us letting us know to add it. You are more than encouraged to give constructive feedback, ask questions, post inspiration, and document regular updates (with images and Sketchfab embeds), and be sure to mark which entry is your final submission. Tag your work in progress with #SoundWIP2017. Publish your final entry to your account, and tag it with #SoundOfArt2017. For good measure, you could add a sound specific tags too, like #sound and tags relevant to your scene, but this is optional. You can submit as many entries as you like, but only your work that was created for this contest! Entries close Monday, August 7, 23:59 EST. No ripping of models from anywhere on the Internet. Using work that is not your own will immediately disqualify you. Contestants models must be uploaded to Sketchfab and tagged #SoundOfArt2017 to be considered. The winners will be contacted by Friday, August 11. Genially surprised that no one made a TARDIS with sound already. Maybe that can be you! But add your own unique elements to it as well! Amazing contest and great prizes! Looking forward to hear all the entries. does music count as a 2D sound? IE can I create a song that goes with the scene in my submission? I just wonder if I can use a free or purchased sound in my project. Only original sounds that you’v emade please! OMG I knew there will be a contest about the sound ! I think I’ll try. Please do! Can’t wait to hear yours! Nice chance to go crazy with the new sound feature. I’m sure we’ll see some great entries.